Third party keyboards – we can’t get enough of them. As we have seen from past examples, some are much better than others in terms of usability and user adoption. Although, we have seen some that are just downright ridiculous. 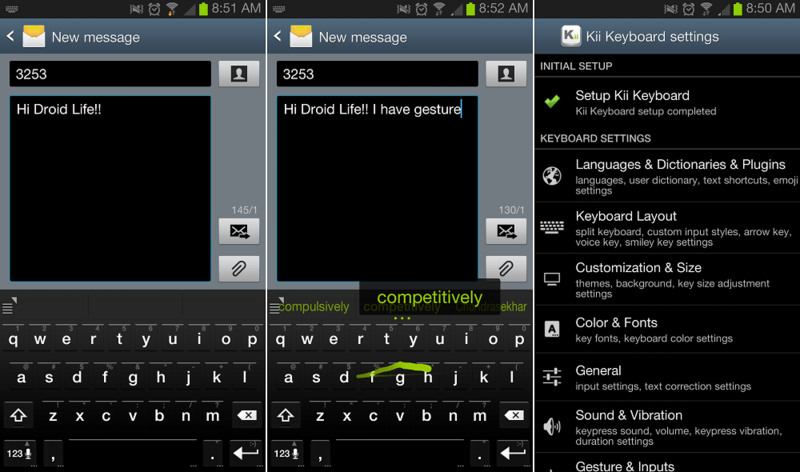 Kii Keyboard on the other hand, is looking pretty good so far. The keyboard brings together some of the more popular features from SwiftKey, Swype, and others. For example, the prediction is spot on like SwiftKey’s and of course, there is swipe gesture typing like you see with Swype. It’s really quite functional and it also supports a ton of different language packs, which is perfect for our multi-lingual readers. Hola! During the beta period, the following features will be enabled for all users. No word on when the keyboard will come out of beta, but get it while it’s hot and let us know what you think so far. The gestures could use a tad bit of work, but I think the keyboard does well when bringing together the best features from multiple competitors. HeroCraft's Ant Raid "Colonises" Google Play, Features Cute Little Army Ants!